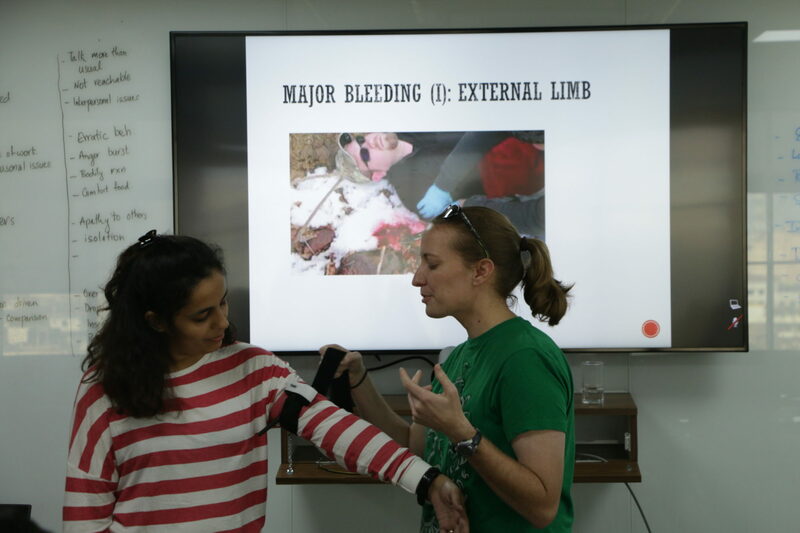 Front-line staff in India learning about first aid with the help of the Tulsi Foundation. Image courtesy of Katey Duffey; © Tulsi Foundation. In December of 2015, Katey Duffey became this site’s first Q&A participant. Back then, she was studying snow leopards (Panthera uncia) in western Mongolia. Now, however, Katey is a member of a new organization called the Tulsi Foundation. Tulsi’s work is quite fascinating, and I have thus asked Katey to participate in a second Q&A about the Tulsi Foundation and her role within it. In a few words, what does the Tulsi Foundation do? The Tulsi Foundation trains frontline staff (i.e. rangers and conservationists) in trauma medicine to respond to emergencies associated with working in dangerous, remote locations. Tulsi provides advisory support for governmental and NGO agencies on healthcare of frontline staff, as well as using an evidence-based approach to measure and implement various healthcare needs. What is your role within Tulsi, and how did your background prepare you for this position? I am the Communications Director. My role is to help educate people about the work we do, and promote the importance of looking out for the health and safety of those who work in conservation as much as we help communities who live alongside conservation areas. If rangers and field researchers are not able to stay safe and well, then they can’t do their jobs to help local communities and wildlife. I enjoy engaging with the public and have years of experience in outreach and informal education programs. I also enjoy doing blogs or articles for a broader audience in order to maximize impact. Katey working with the Tulsi Foundation. Image courtesy of Katey Duffey; © Tulsi Foundation. How did you become involved with the Tulsi Foundation? I met the director and founder, Dr. Chet Trivedy, on Twitter a couple years ago. We started talking about the importance of working with a community for more effective conservation and agreed that there is a lack of information, resources, and aid for those researchers and rangers who are in the field. I already had training and experience as an Army Combat Lifesaver and continued interest in wilderness medicine – especially as applied to fieldwork. The work that the Tulsi Foundation does is very different from other One Health initiatives and is the perfect opportunity to combine passions for conservation, human-wildlife conflict, expedition work, and wilderness medicine. Dr. Chet Trivedy, towards the left of the photo in a blue shirt, helping to train front-line staff in India. Image courtesy of Katey Duffey; © Tulsi Foundation. Tulsi’s website mentions “One Health” several times. What is One Health? One Health is an inclusive, multi-disciplinary field that involves the collaboration of professionals in ecology, veterinary medicine, and human health. It encompasses research and initiatives regarding emerging diseases, climate change, pollution, biodiversity loss, and human safety. The health of domestic animals, wildlife, and people are all interconnected. The Tulsi Foundation recently surveyed over 1,100 rangers from 14 tiger reserves in India. What was this survey about? The survey is a comprehensive assessment of health needs, including: trauma from various accidents, poachers and wildlife attacks, inquires about different illnesses, the experience and training regarding administering first aid, and locations of closest clinics. What are some of the things Tulsi learned through the aforementioned survey? Negative encounters with wildlife such as venomous snakes, sloth bears, and leopards are common. In addition, the majority of rangers had never had formal first aid training. The rest of the data is still being analyzed. 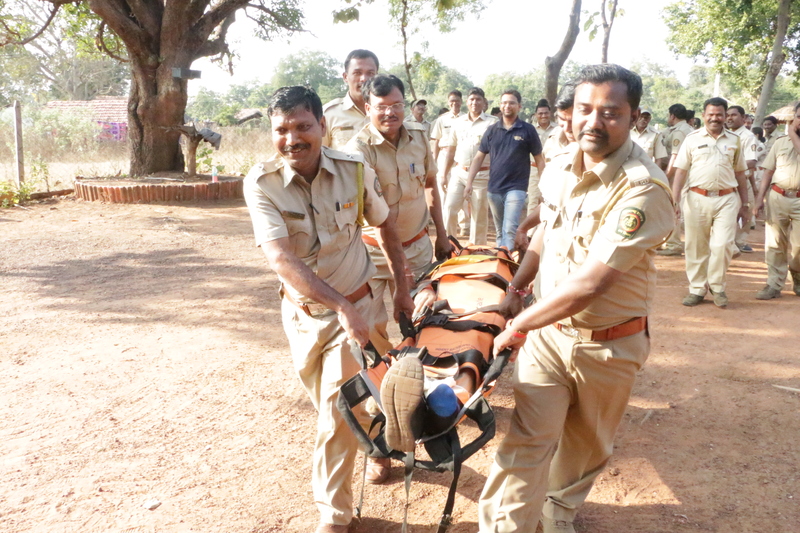 Front-line staff in India practicing first aid, under the direction of the Tulsi Foundation. Image courtesy of Katey Duffey; © Tulsi Foundation. You recently traveled to India with Tulsi. What sort of work did you do there? 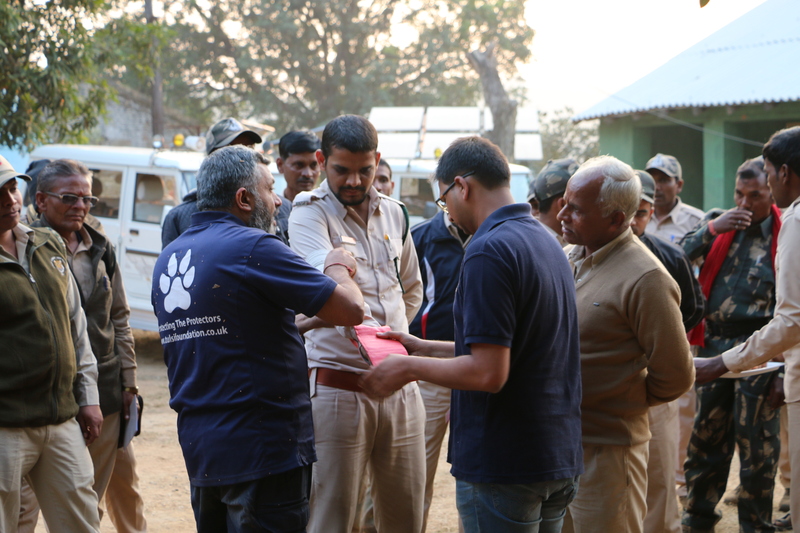 I helped conduct health checks on over 300 rangers within the Western Ghats, assisted with training rangers in first aid within several tiger reserves in central India, and entered data from the ranger health questionnaires. I see that Tulsicon2018 is coming up in September. What is Tulsicon2018, and what sorts of activities are planned for it? Tulsicon2018 is a unique, One Health-themed conference that will promote current issues in: the physical and mental health of those working in conservation, human-wildlife conflict, global health issues, and personal safety in remote environments. The conference will feature free health checks, a free basic life support workshop, best-selling author Danni Rabaiotti with a book signing, and award-winning wildlife artist Judith Mackay. There will also be an abstract competition for a cash prize. Since the conference will be located at the London Wetland Centre, attendees will be able to tour the grounds and meet the resident otters. A vegan lunch will also be provided. You can find out more regarding the Tulsi Foundation and information about registering for the conference at the website http://www.tulsifoundation.co.uk/. Lastly, do you have any plans to resume your work with snow leopards? Yes! I’m waiting on the next steps on my current pilot study for possible zoonoses (diseases that can jump between humans and animals) transmitted to snow leopards, and in the process of discussing options with a couple of colleagues for another One Health project within snow leopard communities. 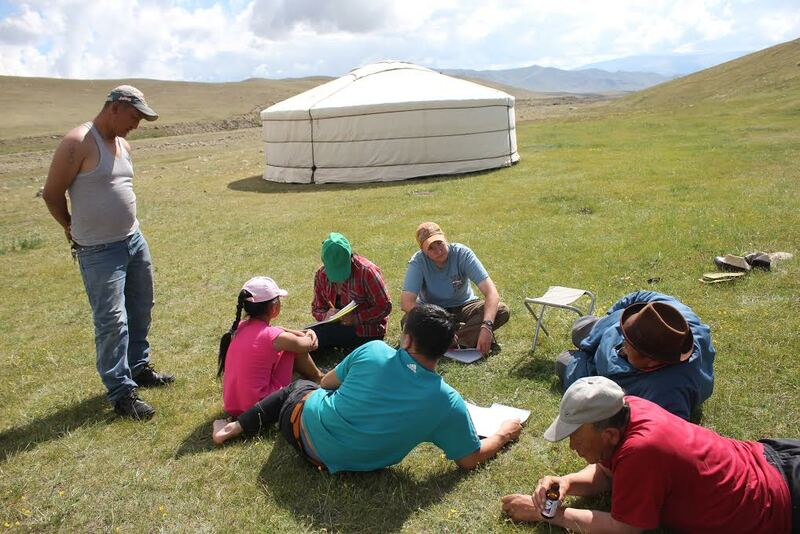 Katey working with local people in Mongolia. Image © Katey Duffey. I would like to thank Katey for participating in a second Q&A for The Jaguar and its Allies, and for taking the time to talk about the much-needed Tulsi Foundation. Do not forget to check out Tulsi’s website, and to learn more about Tulsicon2018! Terrific info, Josh and Katey. Have a thriving Thursday! Katey Duffey is doing an amazing job.